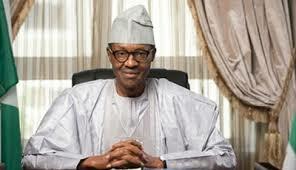 You are looking at Muhammadu Buhari who is set to take over from incumbent president Goodluck Jonathan. The victory which was announced earlier this evening did not come easily. There were accusations and speculations thrown left, right and centre to discredit the polls in states where Buhari emerged the victor. 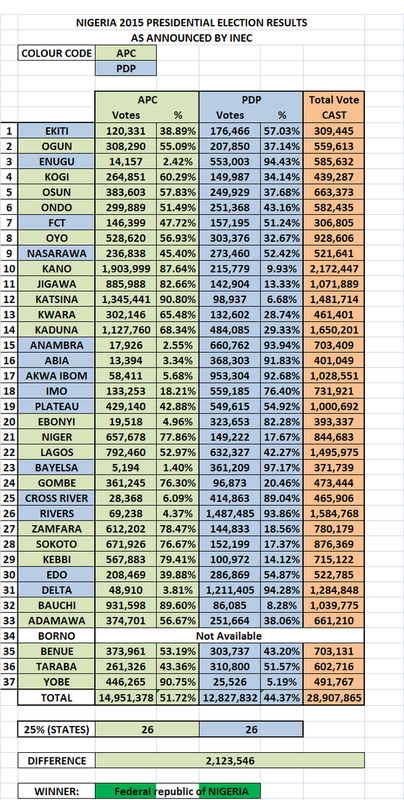 The mere collation and eventual announcement of the results of each of the 36 states was nothing short of a soap opera. The tension in the country after last Saturday’s presidential voting exercise could be cut with a knife. There were general concerns both from within and outside Nigeria that there could be security threats stemming from reactions to election results. Employers in most parts of the country (including mine) permitted their employees to leave work early to get to their respective homes safely. But alas, all was calm in most parts of the country and the Nigerian people took a stand for peace. 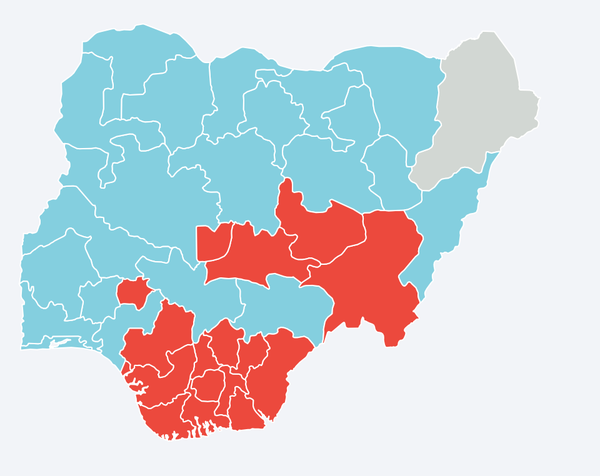 You may have noticed there’s one state in the Nigerian map above that’s grey – that’s Borno, the only state whose results were not announced before Jonathan conceded to Buhari, and the state from which the Chibok girls were kidnapped and spurned the #BringBackOurGirls campaign till this day. Could this have the been the final straw that swayed voters in the opposition’s favour? March 31st 2015 will go down in history as the day when Nigeria witnessed that there is strength in numbers, a united front for change, and an insatiable desire for real change. Politicians and governors alike in Nigeria need to take precaution in the way they handle the affairs of the nation as the people have said in one voice Enough is Enough. The Governorship election is up on 11th April and I feel it will be just as peaceful as the presidential elections has been. It’s no longer ‘Godfatherism’ or Politics as usual in Nigeria. It is a new era, a new dawn, a new beginning…and I am so glad that I exercised my voting rights just so I could be a part of that long-awaited change. This entry was posted in Life and tagged #NigeriaDecides, buhari, election results 2015, elections 2015, goodluck jonathan, nigerian presidential elections, Saibaba by jollof. Bookmark the permalink. It’s really good to read your perspective. I was also happy to hear that Buhari won. It seems that Jonathon had his chance to tackle corruption and extremism.. but as you point out, he did usher in an election in which the people have spoken and by all accounts seems to have been mostly fair. I wish your country all the best with your new leader. I hope he’s able to lead the country in a better direction which will mean better opportunities and conditions for all in Nigeria.